Welcome to Fabulous Finds by J. Gerlach. 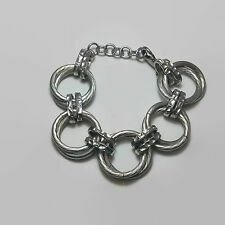 Your source for vintage and contemporary jewelry by designers such as Fendi, Kenneth Jay Lane, Karl Lagerfeld, Trifari, Vendome, Joan Rivers and Coro. 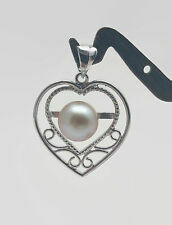 I also offer a large selection of sterling silver jewelry and 14k and 18k gold and gemstone pieces. Browse the virtual aisles and discover Orrefors, Waterford and Faberge crystal, Villeroy & Boch dinnerware, Le Creuset, Starbucks and much more. I strive to offer exceptional customer service with many items being offered with free shipping. Please check back often as new items are being added daily. Small Pottery Vase With Textured Design Signed 5.25"
Salmon Falls Stoneware Pottery Floral Design Bowl 2.5"